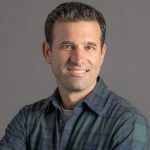 Apartment builders continue to feverishly build to capitalize on rising rental rates and favorable demographics, but construction is reaching danger levels in some markets. With homeownership costs at the lowest levels in decades and a surge in vacant single-family rentals, renters have plenty of options these days. The average monthly cost of homeownership is currently equal to or below the average rental rate in most markets. The move-out to purchase ratio (as reported by the apartment REITs) has risen to 14% from 11% in 2010. 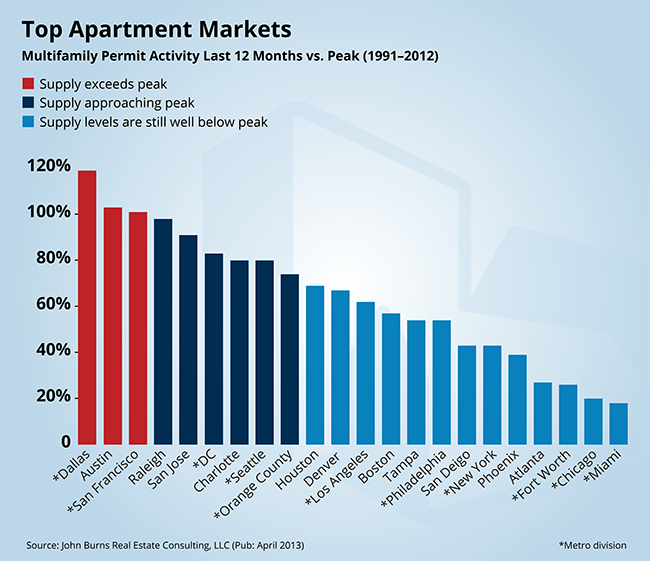 The chart below compares the multifamily permit activity over the last 12 months to the 22-year average for the top 22 apartment markets. Note that the number of multifamily permits pulled over the past year significantly exceeds historical averages for the majority of markets. Construction activity has been especially elevated in tech markets like Raleigh, Austin, and San Francisco, which are currently over 175% of historical norms. These markets have experienced strong job growth which will help absorb the additional supply. 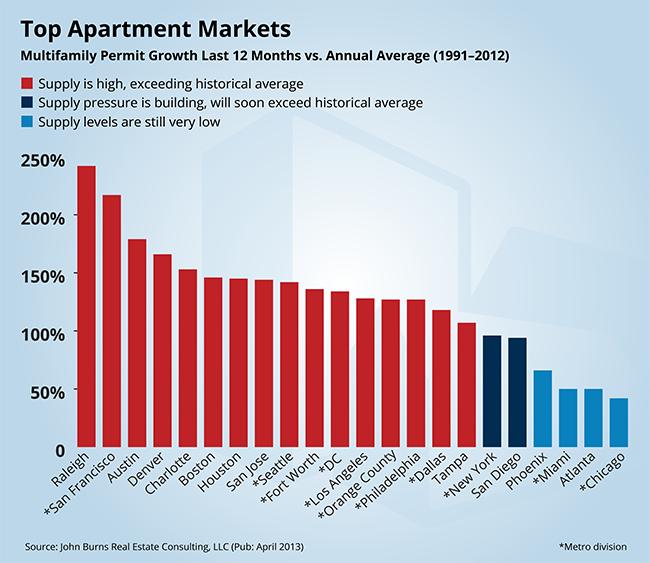 The only major markets where supply remains well below historical averages are Phoenix, Miami, Atlanta, and Chicago. Today’s job growth, coupled with favorable demographics and sizeable pent-up demand, supports today’s construction levels. However, when job growth slows, apartments are the first to get hit. Our advice is to pencil in more risk than usual on any apartment deals in Raleigh, Austin, Dallas, and San Francisco.